Shane V. Mullen*, Managing Partner at Mullen & Mullen law firm, makes sure you get treated like family and that you get max money for your injuries. Shane V. Mullen is the Managing Attorney at the firm and ensures all clients are treated with the same respect as a friend or family member. He makes sure all client cases get the individual attention necessary to maximize the settlement value. Shane chose to follow in the footsteps of his father, Regis, in making his life mission assisting injured victims. In just a short time, he has risen to become a top personal injury attorney. Shane chose to expand Mullen & Mullen from Texas to Missouri because he likes the way Missouri treats injury victims with greater balance in respect to huge corporations. Texas Super Lawyer Rising Star 2014-2016 – Super Lawyers has a rigorous 12-point process that eliminates cheating of the system and identifies the top 2.5% of all personal injury lawyers under 40 or with less than 10 years of experience. Million Dollar Advocates Forum Member – You must win a personal injury trial case with a final value of $1 million or more to belong. 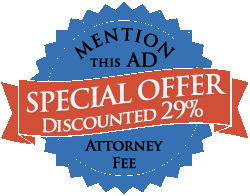 Rue Ratings Best Attorneys of America Member – You must be one of the top 1% of all lawyers in the nation to belong. Shane originally graduated in 1999 from the University of Denver with a BA in Political Science. He later got his Juris Doctorate in 2001 from South Texas College of Law. When you don’t find Shane winning personal injury clients fair compensation for their injuries, you’ll find him spending time with his wife and son, brewing beer, or rooting for local sports teams. Call Shane today free at 314-465-8733 (314-INJURED) to learn how he’d recommend you pursue legal action for your injuries.